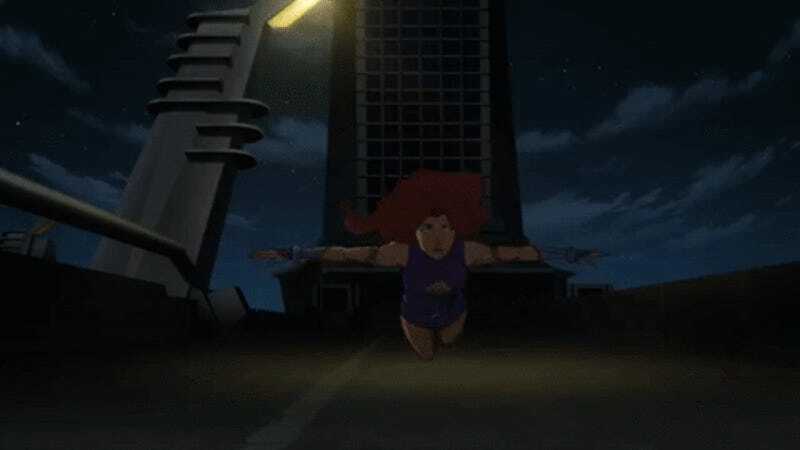 After years of being stuck in limbo, DC is finally bringing the Teen Titans’ most iconic storyline to its world of animated movies—and the first trailer for Teen Titans: The Judas Contract is here, giving us our first look at Terra, Deathstroke, and Teen Titans in animated action. Now that Justice League Dark is widely available, Warner Bros animation has already started teasing the next movie on its slate—one originally pitched all the way back in 2006 before being put on hold two years later, and one fans have been waiting to see for many years since. An adaptation of Marv Wolfman and George Perez’s seminal arc, Judas Contract sees Titans member Terra reveal herself as a turncoat to the group, working with Deathstroke to bring the team down from the inside. The movie updates the story to a modern setting, and there’s a few more changes from the original comic—Blue Beetle is a current member of the Titans, replacing Cyborg, who is part of the Justice League in the animated universe—but by and large, it looks like an interesting and so far faithful take on one of the most famous Teen Titans stories ever told. Teen Titans: The Judas Contract is set to release later this year.